As always, we are indebted to our race sponsors and thank them for their generous support. Below is an alphabetical list of the nominated charities our event will be supporting in 2019. Below is an alphabetical list of the volunteer organisations that will be supporting our event in 2019. Below is an alphabetical list of the organisations that help support the race. The race headquarters for the Abingdon Marathon is located at Tilsley Park, Abingdon OX14 1PU. Tilsley Park is situated on Dunmore Road a mile north of the centre of Abingdon, and runs between the A4183 (accessed from the Abingdon north exit of the A34 southbound) and the B4017 (Abingdon to Wootton). Tilsley Park is clearly signed from all main roads approaching Abingdon. Local buses run from Oxford (about every 15 minutes) and some of the other main towns in Oxfordshire, although services are limited on Sundays. Changing facilities, showers, lockers, soft drinks and refreshment facilities are all available at Tilsley Park. 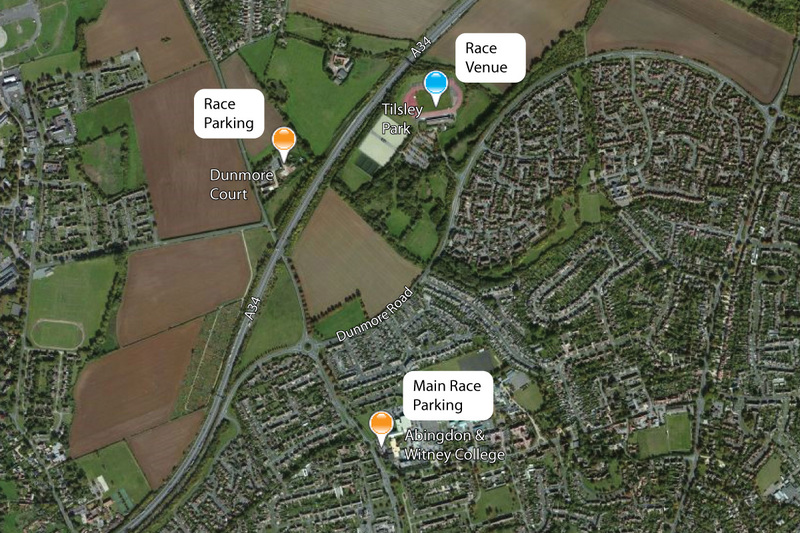 There are, however, no car parking facilities at Tilsley Park available on race day so please follow the signs to the nearest available car parking at Abingdon College, a ten–minute walk from the start. 2019 Race Registration Now Open! © 2010–2019 The Abingdon Marathon. All rights reserved. All photography © SussexSportPhotography, Ridgedale Communications Ltd.
Site by Ridgedale Communications Ltd.